Those who are responsible for annual/periodic report compliance in multiple states can often feel overwhelmed since state requirements and due dates vary so much. Although it is challenging, maintaining report compliance is important and missing deadlines may result in late fees, loss of good standing and administrative dissolution or revocation of your authority to business within the state. How Do I Determine When an Annual/Periodic Report Is Due? Report requirements and due dates vary depending on entity type and the state in which the company is formed or qualified to do business. 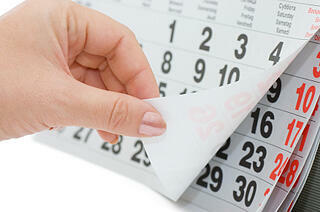 Furthermore, some states use seemingly arbitrary triggers to determine each due date. The majority of states will apply a penalty/late fee if a report is not received and accepted for filing by the deadline. Penalties are usually non-negotiable and some states will also apply interest for every month that the company is delinquent. In addition to an extra fee, your business may lose its Good Standing status and will not be able to obtain a Certificate of Good Standing (or equivalent) from the jurisdiction. A Certificate of Good Standing is a document issued from a state department by the request of a company. The document confirms your company is authorized to do business in the jurisdiction and has fulfilled all statutory requirements. A Certificate of Good Standing may be needed if you wish to qualify to do business in other jurisdictions or if the entity is applying for a loan or entering into a contract. A delinquent company may be subject to administrative dissolution or revocation. This means that the company’s authority to do business has been terminated within that jurisdiction. In order to return to active status or good standing, the entity must either file a reinstatement or, in some cases, file a new qualification in the delinquent state. Both of these filings can be expensive and may provide a negative impression of the company to a third party. Maintaining compliance with report deadlines eliminates wasted time and money curing delinquencies enabling your company to focus on its purpose and activities. Note that the examples mentioned above do not represent a full list of state requirements. For additional questions or for more information, please refer to the resources below.